Hi everyone! We are VERY excited to launch our new official merch. You can check them out at the STORE section. More items to be added on the list soon. The mixing of the album by Linus Corneliusson is finally over. As we are entering the mastering process with Jens Bogren we would like to share a video vlog with some studio insights/details of the production. This has become a tradition, so here is our new video. Merry Xmas and happy holidays everyone!! We hope you enjoy it. It is a heavy metal version (cover) of the famous traditional Christmas song : Santa Claus is Coming to Town. Santa Claus Is Comin’ to Town” is a Christmas song. It was written by John Frederick Coots and Haven Gillespie and was first sung on Eddie Cantor’s radio show in November 1934. It became an instant hit with orders for 500,000 copies of sheet music and more than 30,000 records sold within 24 hours. The song has been covered by over 200 artists. New Xmas video is coming up !!! It is this time of the year, guys. 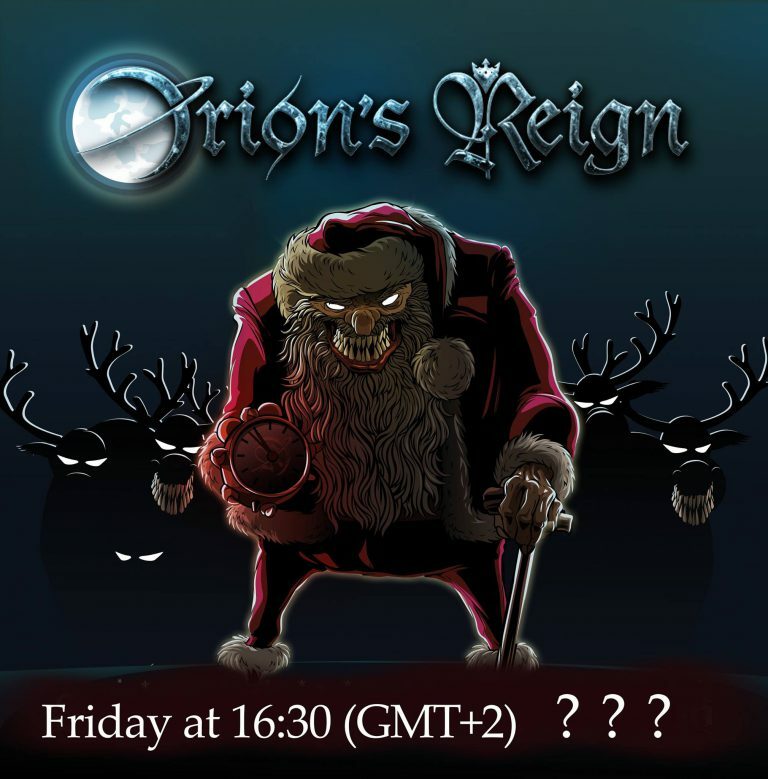 Stay tuned as a new Xmas video is coming up, this Friday at 16:30 (GMT +2) !!! Here it is for all of you out there who requested the symphonic version of our new single online. Here’s a story of a warrior who rides into the battle, knowing he is going to perish. This song stands as a metaphor for the many times in our lives we enter a battle that we know we are going to lose; but what really matters is that we fight and do the best we can! “Ride to War” is the single from the new upcoming Orion’s Reign album. The time has come to unveil some secrets about our new material. 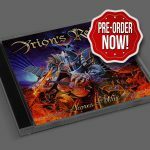 It’s been some time since the last update on the album so we have decided that we are now ready to show you what we have been working on the past years. 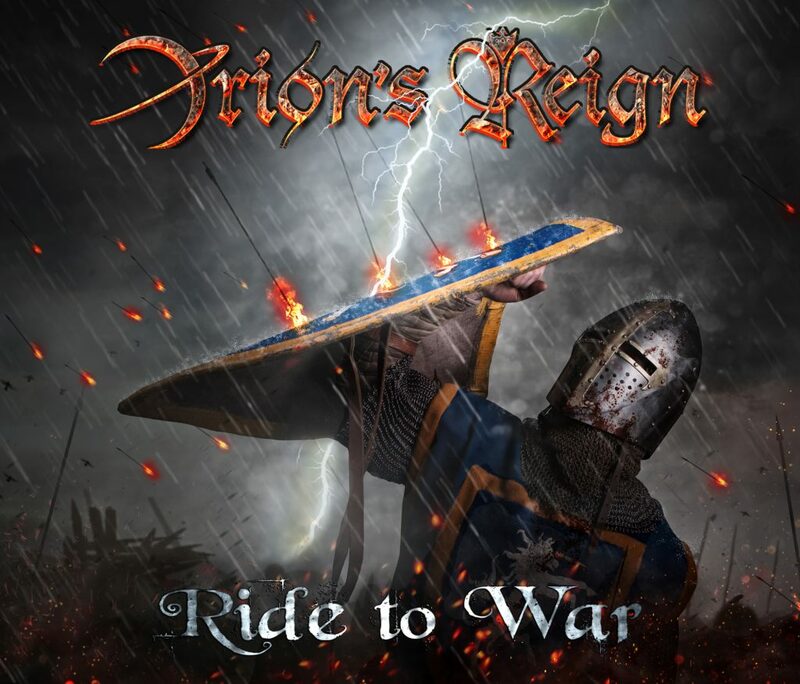 Here is the cover of our upcoming single “Ride to War”. We’ve been working hard together with Fredrik Nordström at Studio Fredman and Lasse Lammert at LSD Studios to make this album sound totally killer! Stick around for the first audio samples. NEW VIDEO !!! This is symphonic heavy metal version of the famous AC/DC song Thunderstruck! Special thanks to all of our friends from all over the world for sending their footage!!! After quite some time with our previous logo, we felt the time was right to create a fresh image to reflect the current work and vision of the band. Today we unveil our new brand. Participate in our New Video!!! Dear Friends, faith followers passive likers and die hard believers – We’re planning on shooting our new video which is a cover of a very famous song and we would really need a whole lot of faces in it. The concept is that we will send you the song and you will film yourself pretending that you are singing. So if you want to be a part of the musicvideo – please send us a private message on Facebook or even an email and we will send you all the details. 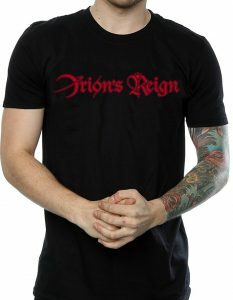 Copyright © 2019 Orion's Reign - Official Website.